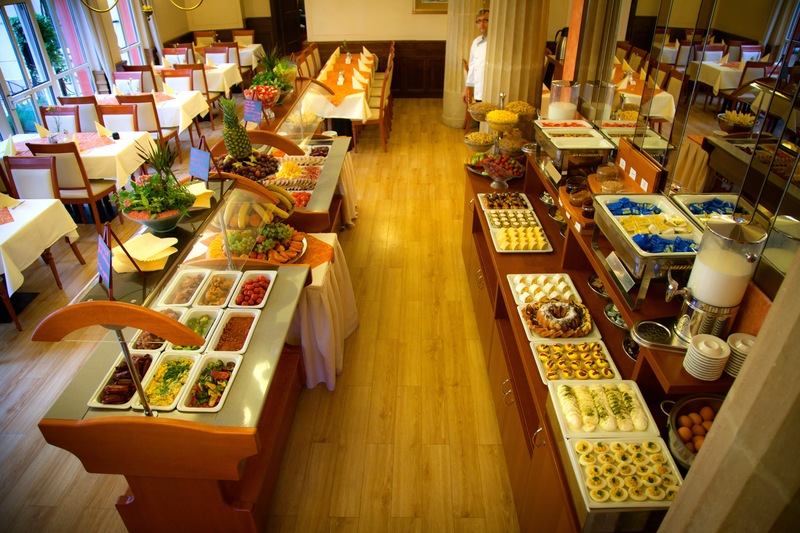 Our shiny restaurant with terrace is situated on the first floor of the hotel and is open every day for breakfast. Rich buffet breakfast is served from 7AM till 10AM. 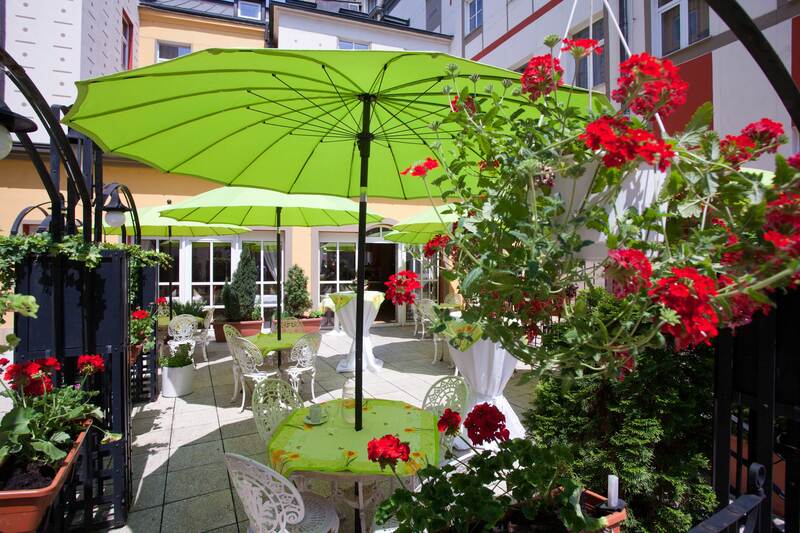 Terrace open daily from June to August, 4:00 PM to 10:00 PM. Enjoy our drinks, food and homemade cakes. Next to the restaurant on the first floor, you will find a small lounge which offers its clients a pleasant and undisturbed sitting at work meetings accommodating up to 10 people, including a computer and Internet connection. We can provide audiovisual equipment on request. There is a modern bar in the ground floor lobby open for you daily from 12 noon to 11 PM. Experienced bartenders will prepare delicious hot and cold drinks for you, including cocktails. 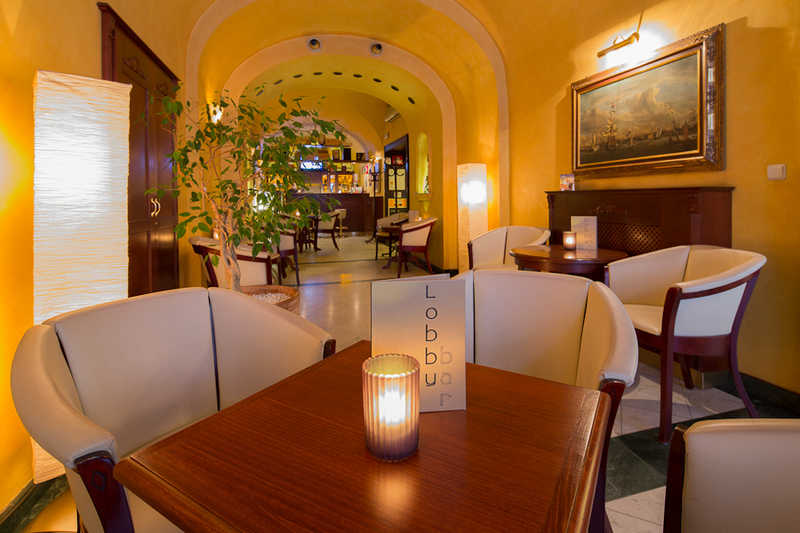 You can have original Czech draft beer and a selection of wines and cocktails. The guests can use free WiFi Internet.